It sits about a hundred feet up the North side of the Upper Hoback Valley like a moose head above a fireplace. Down below, the Upper Hoback River carves its own way through the valley where bison graze and guard their calves from the wolves that are coming back to the land. 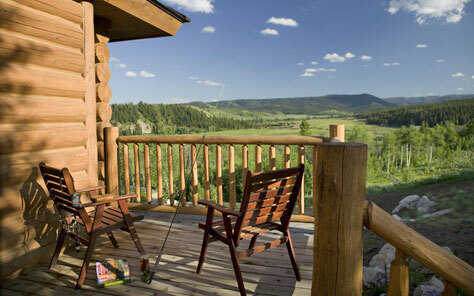 But it’s the big brother mountains–the Gros Ventre, Wind River, and Wyoming Ranges–that surround and protect this paradise like it’s their own secret anglers’ dream. Waiting at the top of a wide, spiral staircase is a luxuriously oversized suite that greets you with rich, warm furnishings and a panoramic Captain’s view of the surrounding mountains and entire Upper Hoback Valley and river below. 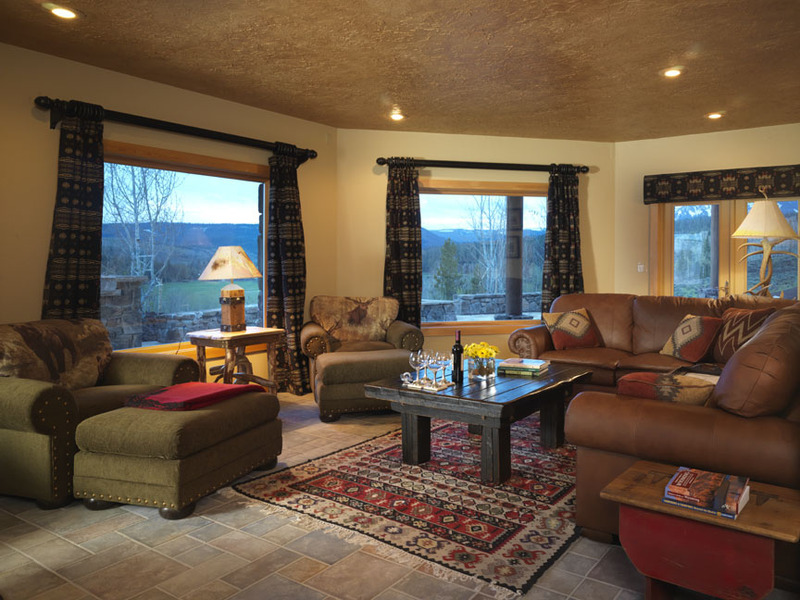 In the evening, relax in overstuffed leather chairs in front of the large stone fireplace before retiring to the bath for a soothing soak in the roomy Jacuzzi tub while you watch the sun fall behind the mountains as the stars begin to light up the night sky. 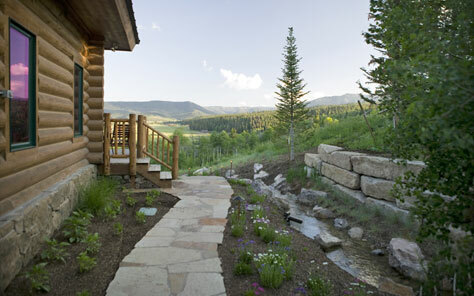 Tucked away in a corner of the main lodge floor, this warm, wooded, getaway opens on to its own patio deck where you can enjoy your coffee in the morning as you watch the sun wash over the mountains. 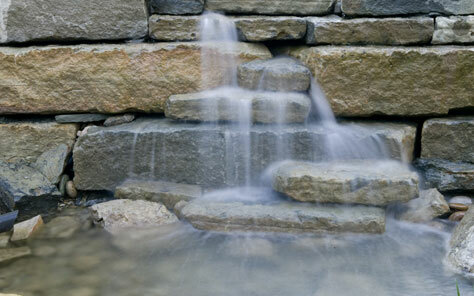 Open the windows in the Summer and relax to the sounds of the brook as it rolls over the rocks just a step outside. The Whitman-Spalding Room has it’s own private bath with a shower and roomy walk-in closet. Secluded in the first level quiet of the lodge, The Washburn Suite features a grand queen bed surrounded by rich wood dressers, a walk-in closet and a spacious private bath with tub and shower. 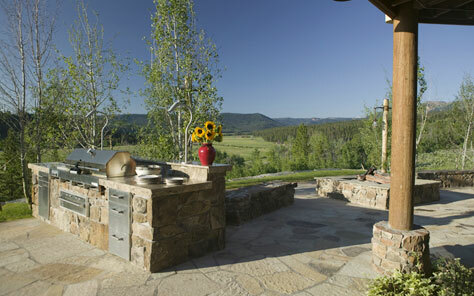 A private door to the hot tub on the patio takes you away to a relaxing soak with grand views of the mountains, wildlife and valley below. Warm wood floors and twin beds highlight this bright suite with a private entrance onto the patio and sauna where a small brook runs by. A walk-in closet provides plenty of storage space and the private bath features a large, tiled tub and shower. Just off the dining area, the Great Room offers a comfortable oasis for an after dinner drink and lively conversation in front of a warm fireplace with 280 degree views of the mountains, the valley and the endless canopy of stars at night. Sitting on a natural pine plank floor, the large, informal dining table provides the perfect place to enjoy good food and good company while you share your stories with old and new friends. The Great Room offers a comfortable oasis for an after dinner drink and lively conversation in front of a warm fireplace with 280 degree views of the mountains, the valley and the endless canopy of stars at night. 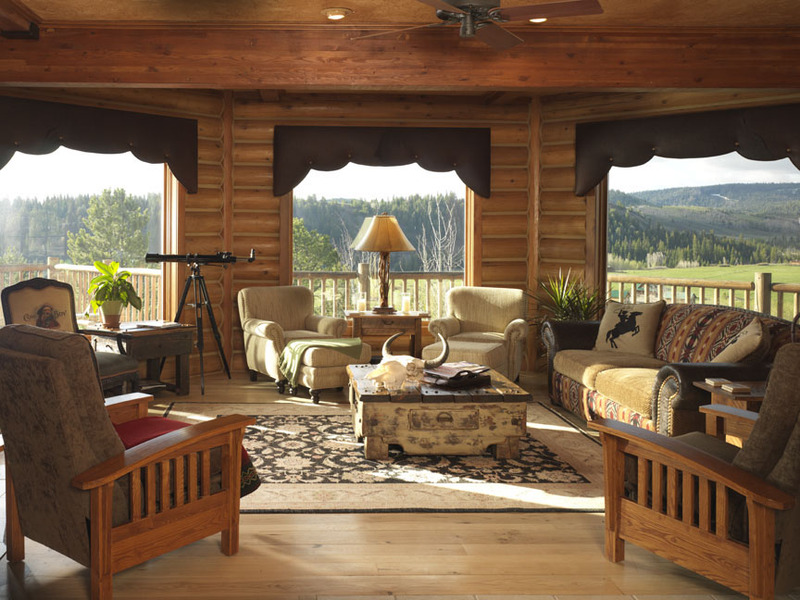 This comfortable escape on the lower level invites you to relax in overstuffed chaises while you take in the panoramic views and listen to the crackling fire in the fireplace. A television with cable and stock of board games provide fun for family and friends. 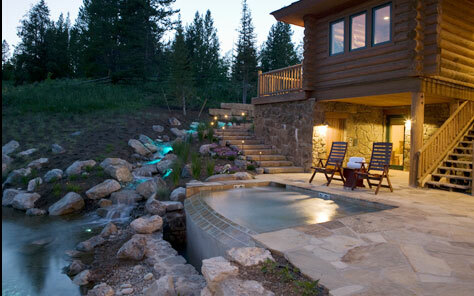 Double doors lead to the lower terrace and Jacuzzi. A focal point of the game room is a massive oil painting by Nancy Glazier entitled “Morning Battle” showing two bull elks engaged in a sparring match in a woodland setting. On the main floor you’ll find a cozy room with a fly tying table and all the hardware you need to tie your own flies. 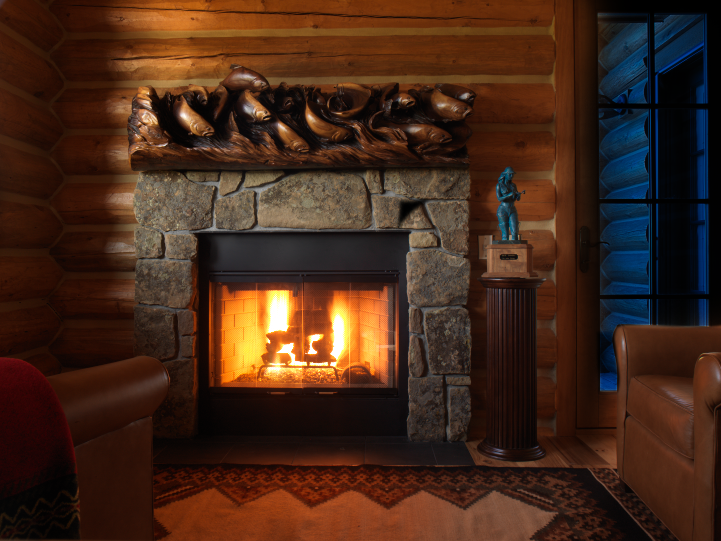 A fireplace framed with a hand-carved, trout mantle warms your back and a wall of fly-fishing books including how-to books on fly tying will help you match any hatch. 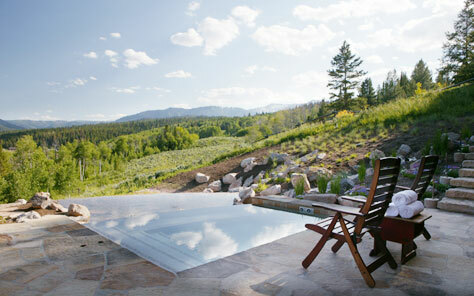 While the views from inside the Lodge are spectacular, the visual experience from the huge patios and decks bring the mountains and valley alive and seemingly close enough to touch. 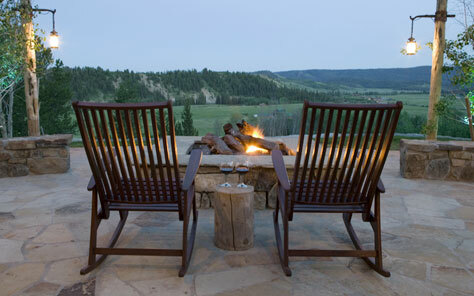 Enjoy a gourmet cookout with family and friends on the giant flagstone patio that wraps around the southern half of the Lodge and boasts a grill with a fire pit, stone benches and a small stream that flows past a hot tub with one of the best views in Wyoming. The massive deck above offers 360° lookout views of the entire mountain and valley landscape and plenty of comfortable seating to relax and enjoy it. There is limited cell phone service at the Lodge depending on carrier. Land lines are available and guests can make and receive calls at 307-734-6133. Free wi-fi internet access is available at the Lodge and there is a computer, fax and printer for your convenience. What if I want to go horseback riding? When you make your reservations, make sure to tell us that you want to go riding and the level of experience you have. We’ll arrange rides of various lengths and terrain, based on your desires and experience. Does the Lodge hire its own guides? No. We partner with the local fly fishing experts to provide a variety of options for our fishing guests who want to fish the waters in and around the Lodge. We work with other outfitters to fish the Snake in Jackson, the rivers of Yellowstone National Park, The Bonneville and other rivers to give our guests any fishing experience they desire, and, of course, to capture the Cutt Slam. For hiking, wildlife viewing, cultural and historical tours; anything you want to experience, let us know what you want and we’ll find the right guide for you. 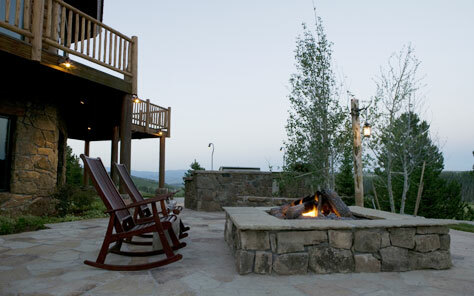 The Lodge at Jackson Fork Ranch is located just over 50 miles southeast of the Jackson Hole, WY airport. The airport is located in Grand Teton Park about nine miles north of Jackson. Please call us at 307-734-6133 before you leave town so we can anticipate your arrival. When leaving the airport, turn right towards Jackson, about nine miles south. Once you enter town, you will come to the intersection with Broadway Avenue. Turn right at the stop light towards Hoback Junction and head through town. Once you exit the canyon at mile 41, the road will straighten and you enter the Bondurant area. The Elkhorn restaurant is just outside the canyon on the right. The Upper Hoback Road turnoff is exactly 5.85 miles from The Elkhorn. Approaching the turnoff, slow down as the highway curves to the left. In the middle of this turn is a gravel road on your right called Upper Hoback Road. Turn right onto this road and continue 6.6 miles to the entrance gate of The Lodge at Jackson Fork Ranch. Enter the electronic passcode. The gates will open to permit passage and automatically close behind you.